I want to thank Drusilla Mott for nominating me for the Liebster Blog Award, an award that is no doubt important to many because of the friendship that it encourages, which to me and others means so much more then the Award itself. But it is uplifting when people choose us because they really care and respect us as people of worth, we are not just another Blog on the Internet or a like click on their Blog . 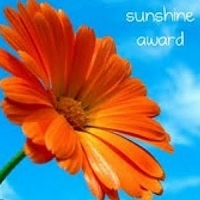 This award is given to Blogs that have less than 200 followers and deserve more recognition and encouragement which is good to have and give. So I also want to thank the person who thought up this award as I’m sure their purpose was to uplift and encourage. 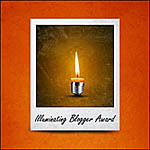 The five blogs that I would like to nominate and I chose these Bloggers to encourage them in reaching out to others by sharing their ups and downs, and there are many more that need this encouragement but a lot of my older Blogging friends have already received it , so this gives me the opportunity to nominate those who haven’t and who would really appreciate it, and it gives them also a opptunity to share with others, which is what it is all about. 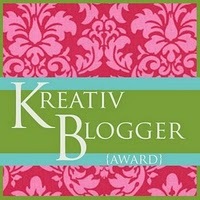 Thank you also for all those who don’t have a Blog but faithfully comment and give encouragement. This entry was posted in Words of Encouragment. Bookmark the permalink. Congratulations Anne. You are truly worthy! Thank you isaiah43123 is very kind of you but my reward is like yours in the Joy of sharing about our King of Kings but it is wonderful being in Unity with the Body of Christ as I have found with you. Hi Anicka, thank you and you deserve to be uplifted for all the encouragement you give others of course we know that it is God who puts kind words in our heart but He tells us to encourage others to do the same so thank you for the kindness you show in your words and actions. I probably didn’t knew what to do to some kind of awards like that before, so I haven’t focusing much, Anyway, thank you so much. 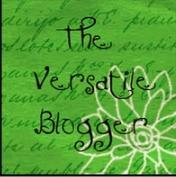 I know what you mean Anicka, wait till I publish The Versitile Blog Award soooooo lost it I did, anyway as they say …. better late then never. What a blessing! We all need friends to encourage us. 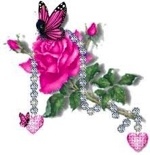 Thanks Velta it is a blessing to have genuian friends like you that show Love in words and actions, as God tells us in Christ Jesus as His body we are all one and are to encourage and support each other and give Godly asvise or warn if needed. Well deserved well done ! Thanks Ron, to be honest I don’t like rules and regulations but I do appreciate someone caring enough to nominate me if of course it comes from the heart but if not accepted with thankfullness and a willingness to encourage others, what’s the point at least if people arn’t thankful and reject it well they are being honest, but it does make you wonder? Yes Jeanne it is good that Dru chose me because she appreciated my input on my Blog but more important to me was that she wanted to uplift and encourage me. Satan seeks to discourage us and put us down God always uplifts and shows He Loves and cares for us, as you can see from the Link below … Another thing I liked was that I could share the award with others and say thank you but what was sad was that I was limited to how many, in the end I chose those who were there from the start and had supported and encouraged me faithfully but even ones I have known only for a short time like you have blessed me greatly, in Truth I had nominated you but noticed you said on your Blog when I went to get your link that you had already received it, but thank you anyway for all your Love, encouragement and compassion. Congratulations! Blessed are you to receive this award and much love and caring. Thanks Jeanne, you are so very much an encourager and a blessing to me and I’m sure many others.